Gregory Fletcher is a versatile, award-winning artist thriving in the greater Los Angeles area. As a vocalist originally from California’s Inland Empire, he has become a multifaceted musician, obtaining session work in various musical genres including R&B, jazz, gospel, pop, classical, musical theater and folk. Gregory has recently finished his studies at the prestigious Bob Cole Conservatory of Music at California State University Long Beach, focusing his education towards a degree in Jazz Studies. Fletcher has received numerous accolades over the years, including a full tuition Jenkins Scholarship, two Monterey Next Generation Jazz Festival soloist awards, and the chance to perform around the world, spanning from the Monterey Jazz Festival, multiple ACDA and JEN conventions, Lincoln Center and Carnegie Hall, to venues in Europe including St. Paul’s Cathedral in London and the Eisteddfod competition in Llangollen, Wales. He has performed alongside world-renowned artists including The New York Voices, M-Pact, Kurt Elling, as well as R&B artist Ledisi and American Soul band Frankie Beverly and Maze. 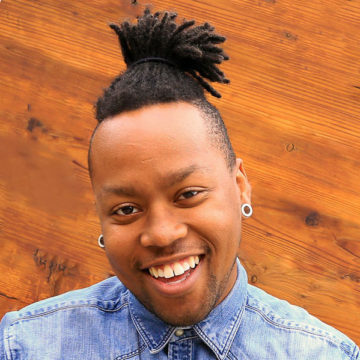 Gregory can currently be found on tour with The House Jacks, and works as a songwriting and piano teacher at Orange County School of the Arts (OCSA), a private voice and piano instructor, studio musician, and lead vocalist of R&B band MiloBloom, in addition to writing for several Warner Music Group artists. He has had the opportunity to serve as a guest artist, educator, adjudicator and clinician at numerous Heritage Festivals, SCVA Festivals, the Fullerton Jazz Festival, as well as the Monterey Next Generation Summer Jazz Camp, and continues to work around the world as an active musician and educator.